IP finance: Are accountants really so dumb? "Accountants and finance professionals must understand Intellectual Property (IP) issues to help their business clients, says ACCA [the Association of Certified Chartered Accountants] and the Intellectual Property Office (IPO) ... in a new guide produced jointly by the two organisations. Called "Intellectual Property and the Practising Accountant", the report is a guide for finance professionals to help them get to grips with the nuances of IP, from trade marks to patents. It also includes a quiz at the end of the report, so readers can test their understanding of the issues. The report says that for most businesses, intangible assets represent well over half of corporate value. Yet according to IPO research, over 96% SMEs have never tried to assess what their IP is worth. Robin Webb, Innovation Director at the Intellectual Property Office says: "Intellectual property is often a hidden or under exploited asset, as many companies struggle to identify, manage and protect it. I believe that accountants who have a basic familiarity with IP will advantage both themselves and their clients by reading this report." "For many accountants, the ability to recognise that a firm should think about its IP management and signpost the IPO website as a resource to start at, will itself be a useful service." 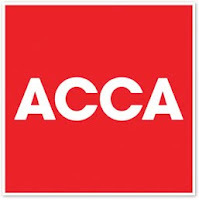 John Davies, head of business law at ACCA, says: "Businesses survive by being good at what they do, and doing those things in original ways. But success inevitably leads to imitation, and at some point most small firms will need to take steps to safeguard their intellectual property. As accountants are the most frequently used source of business advice for small firms, they are uniquely placed to help their clients protect and exploit their intangible assets." "As well as giving firms an edge over their competitors, protecting IP can also prove an additional source of revenue - for example, leasing a name or a logo to another organisation", adds John Davies. "And businesses should be aware that they are entitled to take legal action if another corporate body adopts the same, or a misleadingly similar name." For firms, factoring IP into their business plan means understanding complex issues. For example, are UK trademarks valid in Europe? If a website is designed by a contractor, who owns the copyright? Neither is there any hard and fast way of quantifying IP; should it be the set-up cost of intangible assets, their market value, or their future worth which is costed? "SMEs will likely have all sorts of questions," concludes IPO's Robin Webb. "To gauge the full value of their IP and protect it accordingly, it is critical that their most trusted advisers are well-equipped to answer these queries." Though described on its face as a Technical Paper, the document-- which you can download here -- is just 12 sides long. Discount pages 11 and 12, which are devoid of information, and the front cover; that leaves 9. Discount page 2, since it is the Foreword, and page 10 which contains the quiz. That leaves 7. Let's not mention the substantial white space on pages 3, 4, 5, 6, 7 and 9. All in all, there's precious little information concerning IP and, while it's better than nothing at all, it stands in stark contrast to the sort of material which accountants are expected by their own professional organisations to comprehend in the discharge of their professional duties. "* In many sectors the average royalty rate turns out to be 5% of net sales" [It's difficult to imagine how this gem might be deployed]. "* Patents expire after 20 years, so as they end their life their value will fall" [But most patents have expired or been allowed to lapse long before that period. The fact that a patent is kept in force to the bitter end suggests that it's generating real income or commercial advantage ...]. Please draw your own conclusions. The lack of dialogue between accountants and lawyers in professional services is puzzling. Have I missed something - is it an oversight that the document doesn't mention R&D tax credits or the proposed "Patent Box" or is this a deliberate decision? I shall enquire with the IPO.